With Halloween just around the corner, it’s definitely time to get your wild and wonderful costumes figured out! From subtle styles to the deeply dramatic, these watches are the perfect way to turn the witching hour to the bewitching hour! Channel an upscale Alice with this chic diamond Ronde Folle watch by Cartier! 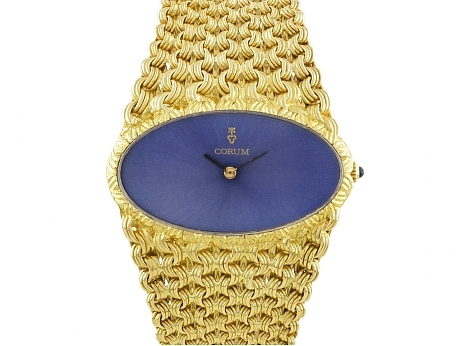 Get into an Seventies swing with the cool color and bold textured band of this vintage watch by Corum. Superhero style is a breeze with this classic Chanel J-12 watch! Add the black ceramic watch to a chic leather outfit to channel Scarlett Johansson’s famous Black Widow character! Fabulous flapper style a la Great Gatsby is a breeze with this vintage Art Deco dress watch! We can totally envision perennially popular Sherlock Holmes wearing this unique “jump hour” watch by Cartier — a clever and classic mix of mechanics and style!